This school extension project was carried out under a framework with the London Borough of Greenwich and comprised various extensions and alterations to the original 1970’s school campus. Speed was key to the success of the project so that the school could continue to operate at full capacity while the new works were carried out. 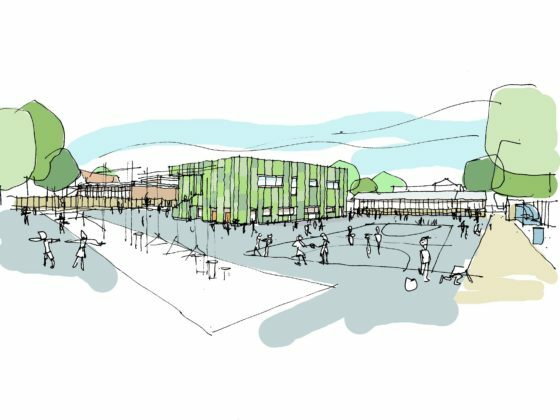 Alterations to the buildings included a number of single storey steel framed extensions to create expanded classrooms and new staff accommodation and reception area. The main addition was a two storey classroom which was constructed on an existing playground area. To minimise the construction time and disturbance on site this building was constructed using volumetric construction and the entire building was completed in just 7 weeks. Ground conditions at the site are extremely poor because of the soft alluvial deposits in the area. All foundations were therefore required to be piled.